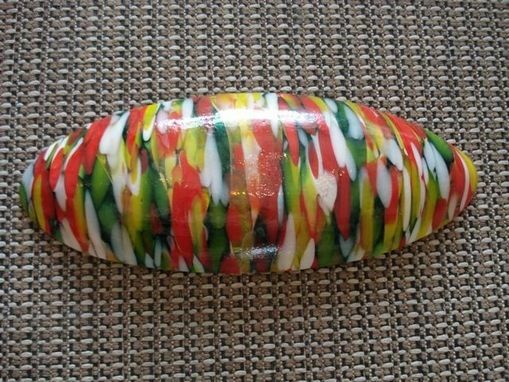 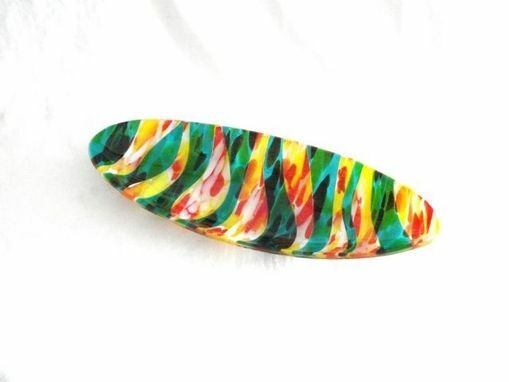 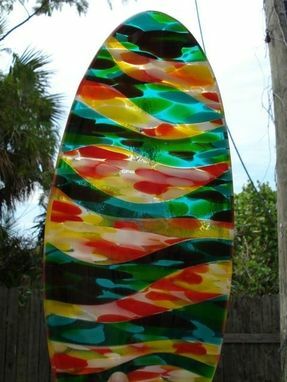 This trippy fused-glass platter can be as at home at a luau or beach party as it would at a smart-casual dinner. 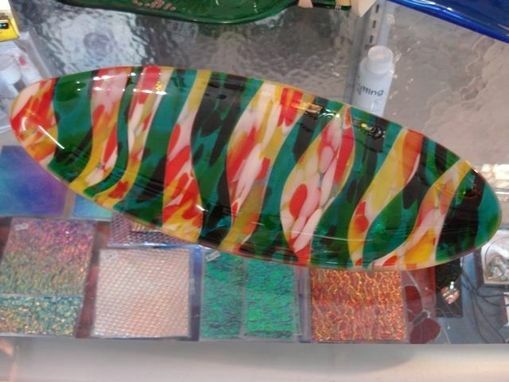 Made of a few fused glass layers, each of which comprise strips of glass in different colors, this platter makes several rounds in the kiln , first to make each layer, secondly to fuse these layers together, and third to give it its shallow concave and elongated shape. 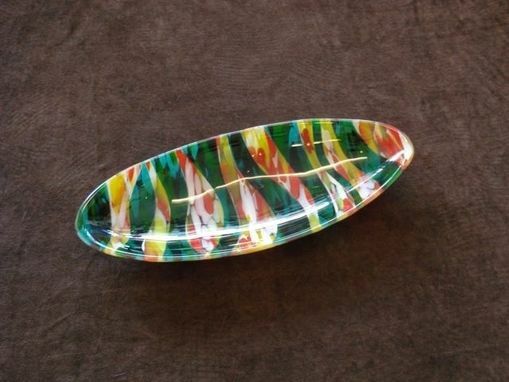 The platter measures 14 1/2'' long and 5 6/8'' wide.